President Trump's verified @realDonaldTrump account briefly went offline. Anyone who navigated to his feed was given a generic blue landing page that read, "Sorry, that page doesn't exist!" And in a stunning plot twist, the world later learned it wasn't a glitch -- but the work of a Twitter employee on his or her last day at work. 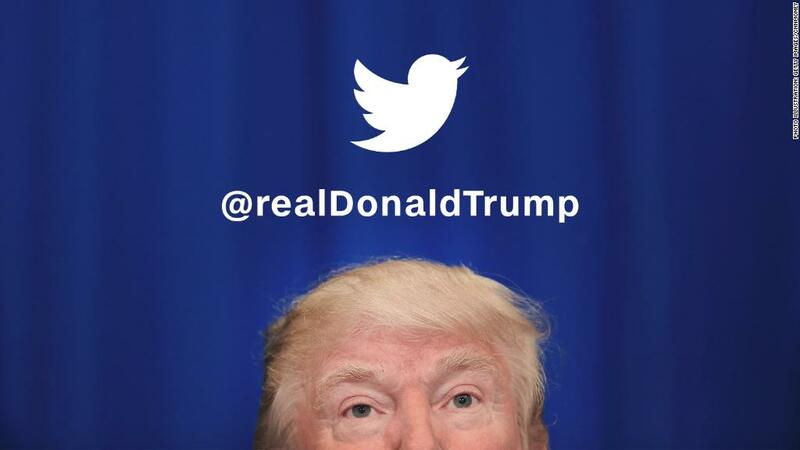 Initially, one of the social media site's verified accounts said Trump's feed was "inadvertently deactivated due to a human error." But a couple of hours later, Twitter announced further investigation revealed "a Twitter customer support employee ... did this on the employee's last day." The company said it's conducting "a full internal review" of the incident. Trump's account was restored within minutes -- 11 to be exact. But Twitter lit up with speculation, conspiracy theories, and plenty of sarcastic jokes about Trump's brief exodus. "In that moment, 'Sorry, that page doesn't exist!' [Trump] truly became President," one user wrote. "That was like .003 Scaramuccis," wrote another user, referring to the president's short-lived communications director. "If Trump's Twitter is down, does this technically mean he's no longer POTUS? I mean, it's the only part of the job he pays attention to," another said. Some users, like New Republic editor Jeet Heer, mocked the furor. One tweet from Heer read, "Wait, Trump's twitter account has disappeared. Is this how we do coups now?" Grandpa, where were you during the Trump Tweet Brownout of '17? Perhaps one of the most defining elements of his presidency, Trump's Twitter (TWTR) use consistently makes headlines. "Just heard Foreign Minister of North Korea speak at U.N. If he echoes thoughts of Little Rocket Man, they won't be around much longer!" Trump tweeted in September, using his choice nickname for North Korea leader Kim Jong Un. But Twitter declined to bar Trump's account, saying it must weigh the newsworthiness of Trump's tweets with its violent rhetoric. Twitter has had issues with high-profile accounts disappearing before. The company's CEO, Jack Dorsey, had his account suspended accidentally in November 2016. Once it came back online, Dorsey tweeted that the suspension was the result of "an internal mistake."